As Virtual Assistants, we provide support services to businesses/entrepreneurs and even when working solo, we are operating as a business ourselves: hence we face similar challenges. 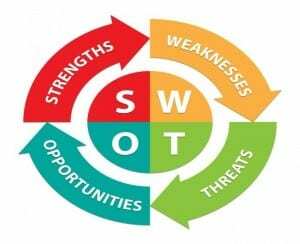 A SWOT analysis helps in understanding and assessing where we stand today and where we can be in the future: our own internal strengths and weaknesses, and the external opportunities and threats. 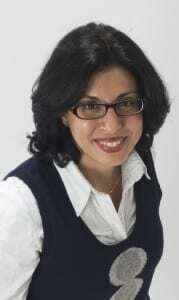 What are your VA Strengths and Weaknesses? You can profit from your strengths by fully understanding your competition and then doing something different and/or better. Take a look at your knowledge or services and figure out how to leverage that knowledge in your niche, in other words what is your competitive advantage? Weaknesses: Be honest to yourself, where are your weaknesses? For a VA to sustain a level of success, commitment and good communication are essential: and systems are essential to support a growing number of clients and eliminate some of the challenges we all face. Zeina Barker is a virtual assistant, working remotely from her home office since 2009, providing a wide range of support services to start-ups, small business owners and entrepreneurs. Prior to becoming a VA, I worked in London in various support roles for international companies. Educated to degree level, trilingual I then decided to use my skills and experience and started as a solo VA. It was a leap of faith to a new amazing journey, extremely challenging at times, but also rewarding, and yes successful. I have worked for clients from all walks of life: high-net-worth individuals, driven entrepreneurs, small business owners, start-ups, and have been part of various teams simultaneously, changing several hats in the same day, without losing focus on providing an efficient level of service. Passionate about flying the VA flag and creating awareness where business owners have been slow in appreciating the benefits of working with Virtual Assistants. Being trilingual helped me develop a niche, I have been technically running an international VA business from my tiny home office 🙂 yet still scratching the surface. The opportunities are unlimited in our ever emerging industry, and the outlook is very positive.